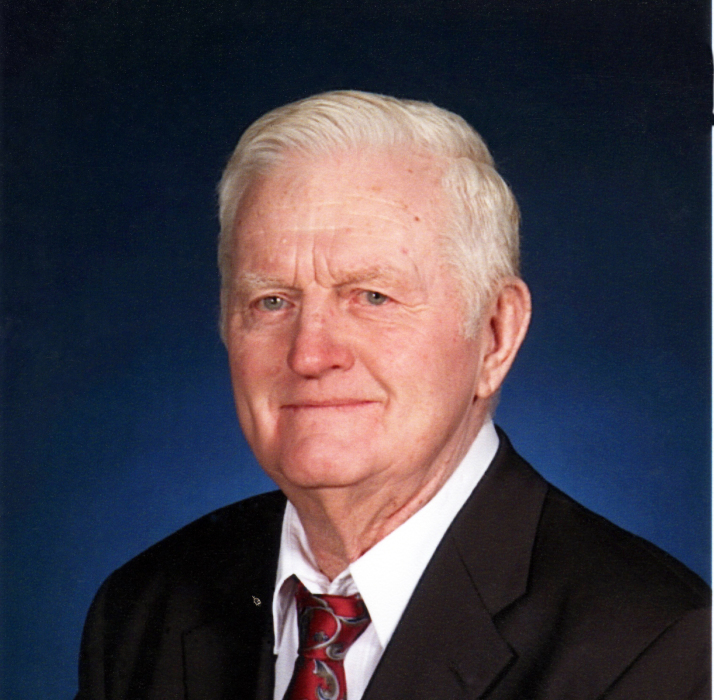 On Thursday, July 12, 2018, William “Bill” Klement, Sr., known to many as a teacher and coach, passed away at the age of 86 years in his home. He was born on August 21, 1931, in Deming, New Mexico, to Adolph and Mary (Moer) Klement. A Deming native, Bill attended the University of Arizona, where he played football, and New Mexico State University, where he graduated with a Bachelor of Science degree. In 1954, he started his teaching career in Cloudcroft, New Mexico. The following year, he came home to Deming and began a 32-year career with the Deming Public Schools. During his teaching career, Bill was known as a dedicated and disciplined science and physical education teacher. In addition to teaching for the Deming Public Schools, Bill was also a well-known coach. He began his legacy as “Coach Klement” in 1955, when he first coached the baseball team for Deming High School. Bill went on to coach football, basketball, baseball, and golf, and continued to coach for Deming High School until retiring in 1987. Most notably, Bill started the Deming Wildcat golf program and laid the foundation for the program’s current success, winning a state championship in 1980 and receiving national Coach of the Year honors in 1981. Golf was a great passion for Bill. He was a long-time member of the Rio Mimbres Country Club, and his individual accomplishments include winning both the Rio Mimbres Club Championship and the Rio Mimbres Invitational golf tournaments. After retiring from Deming Public Schools, Bill spent many years working at the Rio Mimbres Country Club, where he continued his passion for coaching by starting and teaching the country club’s first youth golf program. Bill attended and served at the Holy Family Catholic Church. He was a Fourth Degree member and past Grand Knight of the Knights of Columbus. He is survived by his wife of 57 years, Barbara, children Jim (Cecelia) of Ft Worth, TX, Bill, Jr. (Eileen) of Las Cruces, and Debbie of Deming; grandchildren Christopher, Katherine, and Abigail, and many nieces and nephews. He is preceded in death by his parents, his siblings Lawrence, James, Leon, Judy and Vera, and granddaughter Rachael. A Celebration of Bill’s life will be held on Saturday, August 11, at Holy Family Catholic Church, 615 S. Copper Street in Deming beginning with a rosary at 9:30 a.m. to be led by Suzanne Lundy. A funeral Mass will follow at 10:00 a.m. at Holy Family Catholic Church with Fr. Prakasham Babu, Pastor officiating. In lieu of flowers, memorial donations, in memory of Bill, can be made to either Cancer Support of Deming & Luna County at P.O. Box 1746, Deming, New Mexico 88031, or Holy Family Catholic Church at 615 S Copper St, Deming, New Mexico 88030.